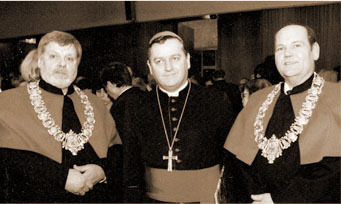 Born on December 24, 1952 in Poznań. He learned the profession in the studio of master R. Janek. In 1978 he passed the master exam. On May 3, 1983, he opened his own stained-glass workshop. 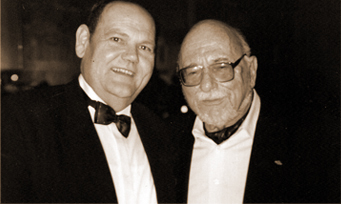 In 1986 he was awarded the title of Master of Artistic Crafts granted by the Minister of Culture and Art. 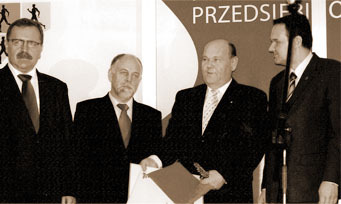 From 1984 he has been a member of the apprenticeship and examination board at the Chamber of Crafts in Poznań. 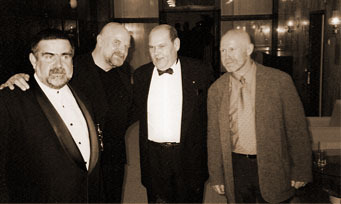 From 1996 to 2001 he was the chairman of this committee. For 4 years he worked as a stained glass teacher at the Higher School of Applied Arts. He is also a member of the National Artistic and Ethnographic Commission. 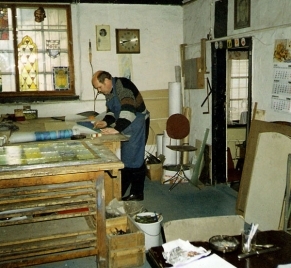 Since 1991, he has been the Chairman of the Artistic Crafts Team at the Wielkopolska Chamber of Crafts. 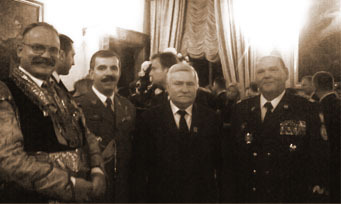 The fourth term of office performs the function of PodCechmaster of the Guild of Construction Crafts in Poznań. 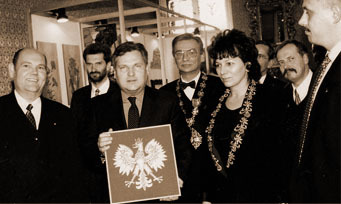 Since 2001. is a member of the Council of the Wielkopolska Chamber of Crafts. Since 2006. He is the Chairman of the National Artistic Crafts Commission of the Polish Craft Association. 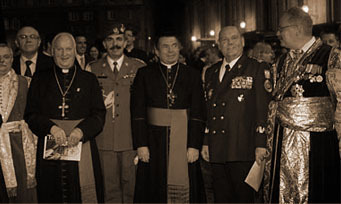 He is also the President of the Union of Polish Shooting Brotherhoods of Strzelce, a member of the Knight’s Order of the Holy. 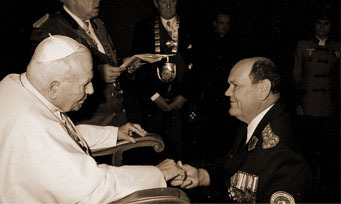 Sebastian in Europe, a member of the Hungarian Order of Knights of Liberty, Łomrzyński Knight – knight of the Holy. Brunona, Knight of Warsaw – Knight of the Holy. 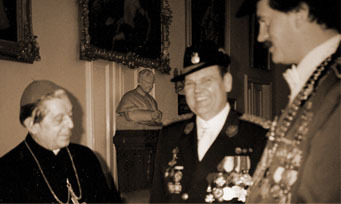 Andrzej Bobola and a member of the Association of Monument Conservators. The studio has existed since 1983. continuing over a 100-year-old craft tradition in the Gołembowski family. All employees of the profession learned in this studio. During those years she made stained glass windows in over 100 Catholic churches, 3 churches, 5 evangelical churches and 1 synagogue. Our stained glass windows adorn many hotels, palaces, restaurants, schools, town halls and private apartments in Poland, Germany, the Netherlands and Romania. 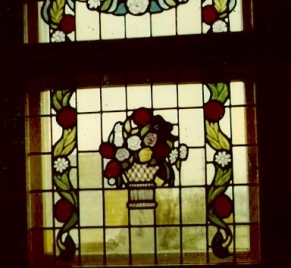 Single stained glass is also found in the USA, Australia, Canada, Spain, France and Italy. We work with well-known designers: prof. Jan Gawron, prof. Aleksander Gregorowicz, Halina Borys-Lipińska. We exhibited our works at exhibitions at home and abroad, winning many medals and honors. Since 2007. he works together with his son Przemysław, who in 2001 passed a journeyman journeyman exam. In 2007. he defended his master’s thesis at the University of Zielona Góra – graduating from the Institute of Fine Arts with a diploma in Painting in the studio of prof. J. Gawron. He mainly designs stained glass, as well as easel and wall painting. 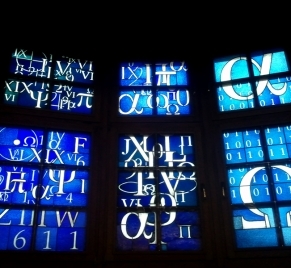 At that time, he designed stained glass windows for such objects as the basilica in Licheń, the Pauline monastery at Skalka in Kraków, the church in Wawrze in Warsaw, the Lubrański hall at the University of Adam Mickiewicz in Poznan.